Superb battery for a fair price. The shipping was very fast. Anytime again. Ordered 11.25am and was received 9.15 the next day and installed into my BMW 1200 GSA by 9.30. Fired up well so hopefully I now have a reliable battery. 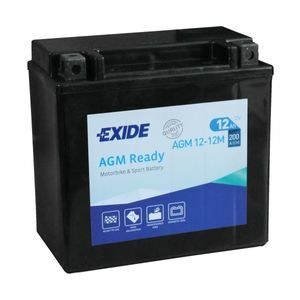 I have to say the one I took out was an exide and was the original ( on an 2008 Bike) so that has done well. This is the 3rd time I have bought from Tayna who continue to impress. Perfect fit for BMW F650GS (2011 model), and works like a charm. A lot cheaper than BMWs price of £155 (fitted). As described very fast next day delivery. Well packaged so no spills.